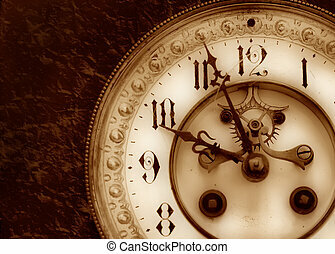 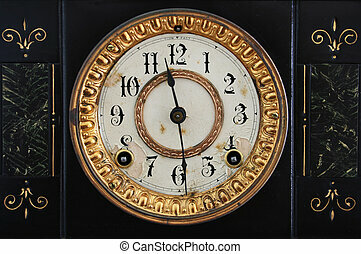 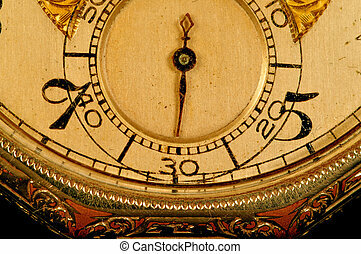 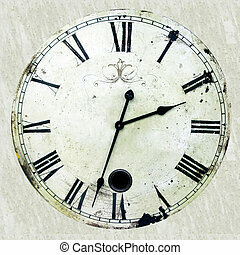 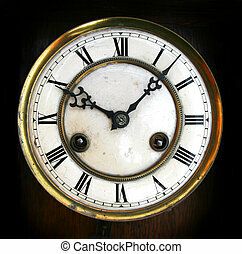 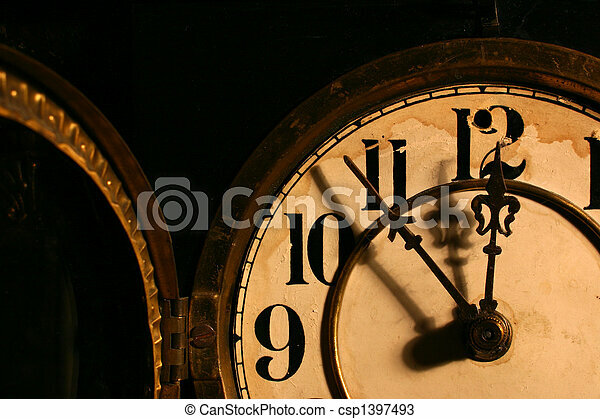 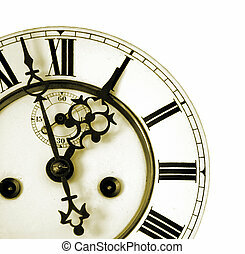 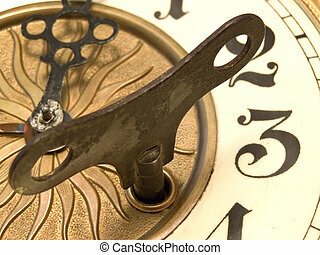 Closeup of an antique clock face, the glass door is open. 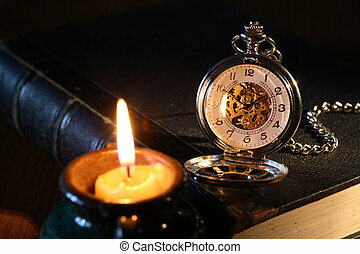 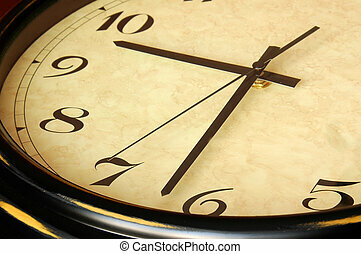 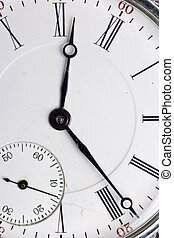 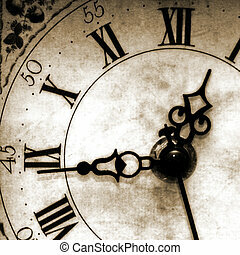 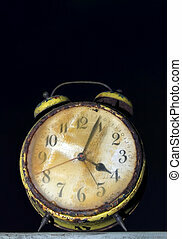 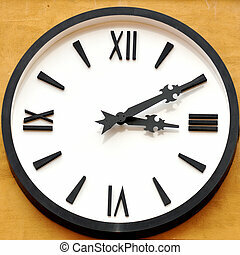 it is almost 12 o\\\' clock. 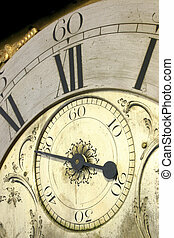 Close up of the face of an antique grandfather clock. 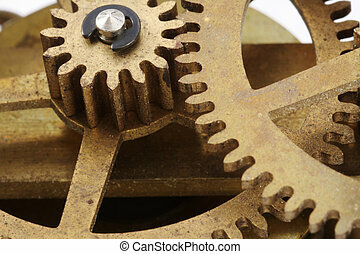 Gears from an antique clock in a close-up view.